Success Stories from Satisfied Customers. Our main mission is to help Oregonians maximize all aspects of their lives by producing the highest-quality cannabis products possible - we love to hear these stories of success with our product, and we’re proud to share them with the world because we’re confident that our product can help many others too. 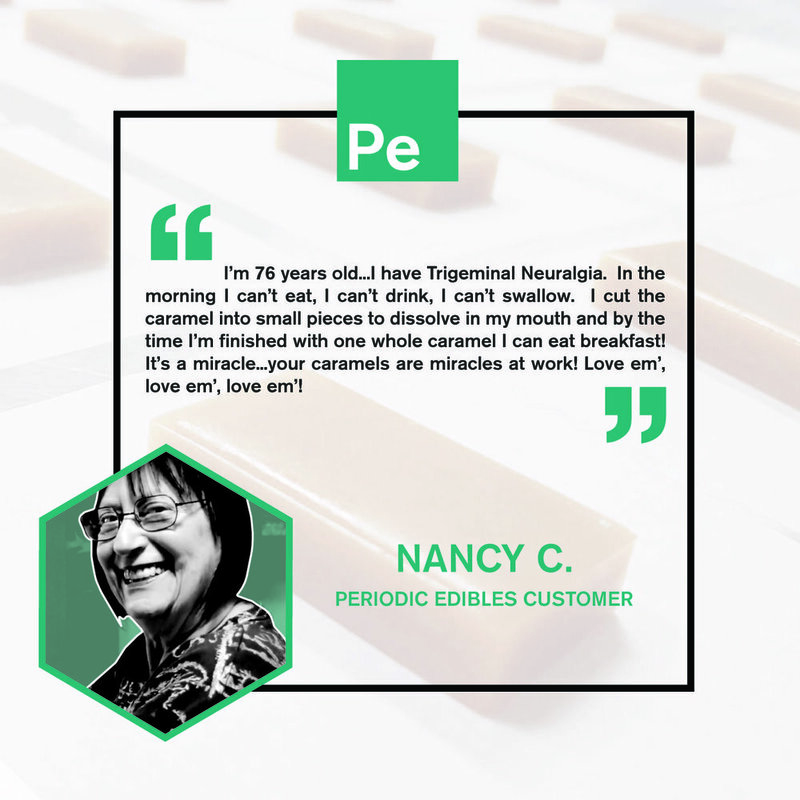 A massive thank you to our customers who shared their stories with us - we’re thrilled that our caramels have made a difference in your life! If you’re a customer who has a great Periodic success story to share, please use the button below to contact us and your testimonial may be featured on our website. Happy Experimenting! DISCLAIMER: These testimonials are personal experiences of the individuals who shared their stories and are not medical recommendations or claims. Our products are not approved by the FDA to treat, cure or prevent any diseases.